Out of Nigeria’s estimated 173 million citizens, more than 40% are Christian. That means it’s one of the countries with the highest density of Christians alongside Brazil, Mexico and the United States. It’s also home to one of the world’s youngest populations, and many of these citizens carry around mobile phones. How is technology helping churches adapt to these major trends? Could a new social media product be just what the industry is looking for? Bambo Oyelaja is every church-going girl’s dream man — a bad boy who loves the Lord. As a developer, he missed church services because he was fond of writing code late at night — even on Saturday nights — and wouldn’t go to bed until 5am on Sunday morning, making him miss Sunday service all too often. 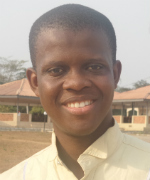 Realising that he was not the only one with this religious predicament, Oyelaja decided to create PrayerBox, a platform that enables Christians to connect with the church and still perform their duties as members, irrespective of their location. “PrayerBox gives users a platform through which they can share their hopes, gratitude and struggles with their friends, family and religious community. It’s like a Twitter tailored for religion but with a lot of added features,” he said in a statement. The platform was officially launched last December and within two months it’s registered over 42 000 users mainly through referrals, growth hacking and key partnerships with churches. These include major churches such as RCCG, Winners’ Chapel, DayStar Christian Center and Kingsway International Christian Centre. “We are basically connecting members of the church to their congregation and we are creating an easier way [for churches] to collect tithes and offerings,” he said. On the platform, registered members can share prayers and testimonies, and it’s also been upgraded to feature church pages. In addition to using the platform to testify to the glory of the Lord, PrayerBox also offers users the opportunity to receive weekly updates, including event notifications. They can also submit or suggest prayer points. While it is easier for ecommerce platforms and music streaming services to monetise, things are a little different when it comes to religion without appearing to take advantage of worshippers. Oyelaja said the platform earns revenues when churches sponsor ads and when they use the medium to collect tithes and offerings. He also revealed that there are future plans to venture into ecommerce. Since religion is sacred, I was curious to know how PrayerBox convinced users that the features PrayerBox provided were legitimate. But Oyelaja said it helped when the church management was on board. “When a pastor endorses a product, the congregation adopts it,” Oyelaja said. The 440.ng supported startup is already making revenue and the founder believes it could sign up an ambitious one million users before the end of the year. “My dream was to connect people in a religious community. I do a lot of things with my phone and thought to myself, ‘Why couldn’t I pray with the phone?’ so, I started planning and developing PrayerBox. Right now we are gaining massive traction and just three months after launch, we have acquired tens of thousands of users,” he said. How far can tech go in the church? Pastor EA Adeboye is the general overseer of the Redeemed Christian Church of God, a church regarded as Nigeria’s richest, largest, and Africa’s fastest-growing church. The church was among the first to embrace mobile technologies when it released the pastor’s official ringtones on the nation’s major networks. Elsewhere, other churches across Nigeria are gradually embracing technology. Some are just using EasyWorship software to display sermons, while others have gone to the extent of holding international conventions and weekly services via satellite. While technology gradually continues to worm its way into the heart of the church, no one dared to touch church money until now. Technology is helping members of the church to stay focused and follow teachings. Very soon it will be possible for members to stay at home and join the service via Google Hangouts. It will soon be possible to do everything they do in church actively from homes or anywhere. While the startup founder believes PrayerBox will not answer the prayers of the users, it allows the creation of a virtual community that enables users to connect and pray together. Moreover, it allows them to seek prayers from their religious leaders. “Faith answers prayers but then the Bible says where two or more are gathered in His name He would be there. We are making this possible,” Oyelaja said. Pastor Yinka Jeshurun of King’s Kingdom Ministries believes the deployment of technology in the ministry of the Church is a natural progression that cannot be avoided if the Church is to retain its relevance in today’s world. He explains to Ventureburn: “There was a time when most people got their information, news and entertainment from radio and newspapers, and the Church (which had hitherto been cloistered in her cathedrals) had to start adopting those media to reach their target audience.” Now today, he said, most people get their information and entertainment from social media, and the Church has to adopt these new media (and the underlying technologies) if it has any hope of reaching this generation. “The message has not changed over the past two millennia, but the method has evolved over time from the days of Apostle Paul writing epistles to be hand-delivered to churches in various cities to today where the same message would be posted on a blog or tweeted; and it must keep evolving to be successful in presenting the Gospel effectively to successive generations,” Jeshurun said. Jeshurun believes the Church has a responsibility to God — and humanity as a whole — to use every means, medium and technology at its disposal to get her message across to the community.